The people behind DASF success are highly committed individuals who strive towards bringing socio-economic changes and improving livelihoods of marginalized farmers. David J Lobo started his business in 1969 and grew it to become the Deejay Group – one of the largest Poultry Farms and Breeding organizations in the Country. He believes, as taught by his father, that there is only one way to do a task, The Best Way. This meant constant learning and constant improvement. In 1983, he started two organizations – The Bridge Foundation and The Deejay Coconut Farm. The former has become a leader in the NGO space, winning awards for the best run NGO among several countries. The latter has become the most recognized Coconut Breeding Project, acclaimed for its ideal Coconut Hybrid Palm, the Sampoorna Hybrid Coconut Seedling. This hybrid palm is the product of preference in India and other countries too. David Lobo is completely focussed on growing and developing Deejay Coconut Farm, he has spoken at several international forums and has signed international joint Ventures for Technical Transfer, as well as the export of seedlings to other countries. David Lobo noticed that the Bridge Foundation had impacted and continues to positively impact many people, but not in depth. He also noticed how much he had impacted more small farmers through his coconut project. They had put in the effort, the sweat and toil, and had turned their lives around due to superior coconut planting material. Seeing an opportunity for the poor farmer and a gap in the NGO sector, he launched the non-profit Deejay Agri Support Foundation that would be their stepping-stone to a much better life. A finance professional associated with Deejay Group for over three decades, working in various capacities and currently COO of the Deejay Group. Hailing from an agricultural family, over the years he has completely associated himself with farming communities, understanding their needs and serving them to their satisfaction with Deejay Sampoorna hybrid coconut seedlings. Seeing the financial stability and the satisfaction levels of these farmers has inspired him to do more good for the farming community. During this journey, he has come across many small farmers in the rural areas who do not have the opportunity to have two square meals a day because of poor agricultural crops they grow in their meagre land holdings. This has inspired him to provide a solution to these small farmers by supporting them with a small quantity of hybrid coconut seedlings. The coconut tree is“Kalpavruksha” and generates perennial income to the farmer by meeting his minimum monthly income needs. 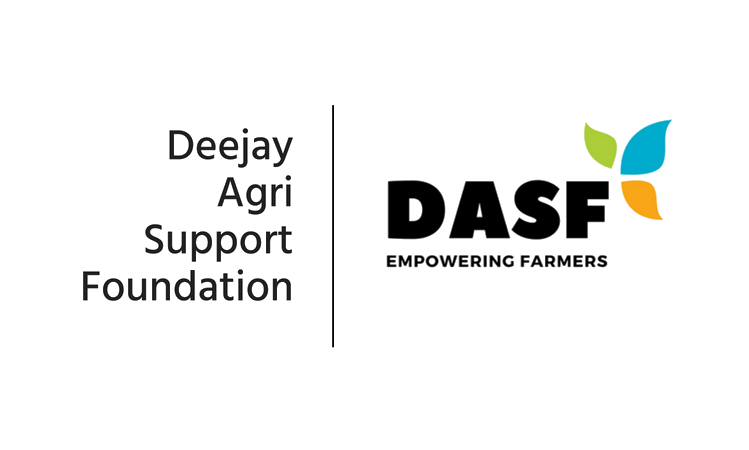 M Murali wants to help reduce the financial stress of as many small farmers as possible, and realise the vision of Deejay Agri Support Foundation. John Magesh heads the production department at Deejay Farms and has been involved with the Deejay Group from 2016. A Gold medallist in M. Phil (Natural Resource Management) from Indian Institute of Forest management, he also holds a Masters degree in Forestry from Tamil Nadu Agricultural University. He has more than 12 year experience in the farm/plantation sector. He has been involved in the cultivation of plantation crops, setting up new farms, organic agriculture and supply chain management of agri based raw materials. Prior to joining Deejays, he was involved in overseas projects in West Africa, establishing new farms and developing the cultivation skills of local people. He is passionate about developing models of Sustainable Agriculture Practices as a means of empowering the marginalized farming community towards creating an equitable world to live in.